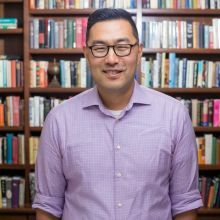 Albert L. Park is the Bank of America Associate Professor of Pacific Basin Studies in the Department of History at Claremont McKenna College (The Claremont Colleges). As a historian of modern Korea and East Asia, his current research project focuses on the roots of environmentalism in modern Korean history and its relationship to locality and local autonomy. This book project is tentatively titled “Imagining Nature and the Creation of Environmental Movements in Modern Korea.” He is the author of “Building a Heaven on Earth: Religion, Activism and Protest in Japanese Occupied Korea” and is the co-editor of “Encountering Modernity: Christianity and East Asia.” Dr. Park is the Co-Principal Investigator of EnviroLab Asia—a Henry Luce Foundation-funded initiative at the Claremont Colleges ($1.4 million award) that carries out research on environmental issues in Asia through a cross disciplinary lens. He is the recipient of four Fulbright Fellowships for Research, an Abe Fellowship from the Social Science Research Council (SSRC) and fellowships from the Korea Foundation and the Center for East Asian Studies at the University of Chicago. A native of Chicago, he received his B.A. with honors from Northwestern University, an M.A. from Columbia University and Ph.D. in History from the University of Chicago.